This is the first of several Battlehogg mixes that will be put on here for FREE download. 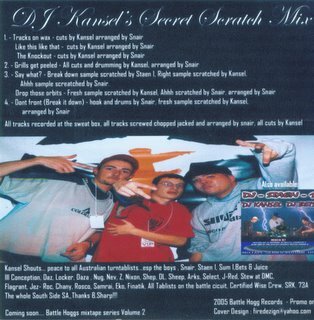 This one is DJ Kansel's Secret Scratch Mix that also features DJ Snair and DJ Staen 1, all from Adelaide, South Australia. More Battlehogg Mixtapes will be added over the next few days!! !